Home/School News/COIN Drive for Red Cross= $402.87! 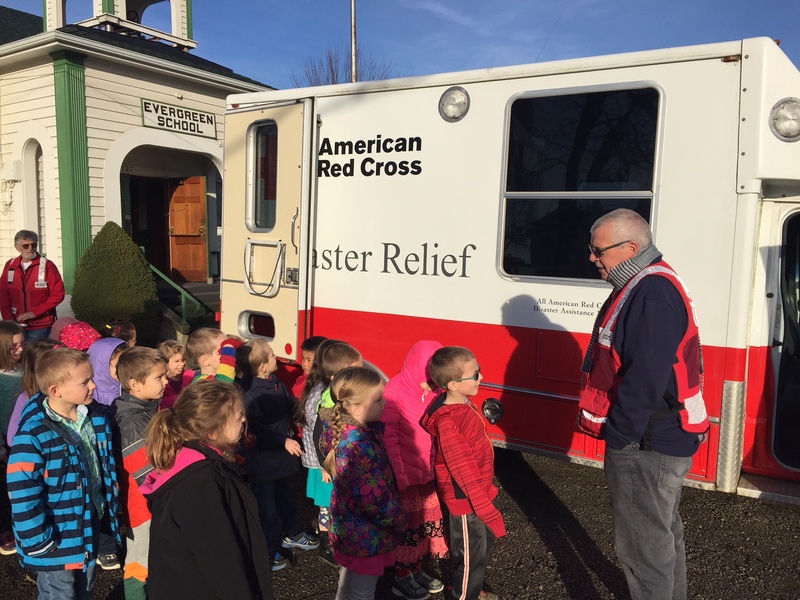 All students learned different ways the American Red Cross assists in crisis situations. Students were challenged to assist families in Puerto Rico still recovering from damage done by Hurricane Maria. Through notes of encouragements and a coin drive, they were eager to help bringing in just over $400! Way to go Evergreen families! Volunteers urged students to have parents check their smoke alarms for more than working batteries. They suggested replacing alarms older than 10 years and Red Cross volunteers are happy to replace smoke alarms for free!